Good to see Jim setting goals! Watching SoleSurvivor didn't think after all this time it would be this hard maybe it wasn't a good idea I am bless and very thankful to still be here!!!!! #SoleSurvivorFilm If CNN replays it and you get a chance. It's worth watching. The pilot's story just struck me the hardest. I would love to see a follow up on him in 10 years. #SoleSurvivorFilm I am so proud of Bahia! She is a wonderful and kind young lady. “When I set out to create SOLE SURVIVOR, I set out to understand my own survivor’s guilt.”-#SoleSurvivorFilm director @KyDickens . and thanks to @ShawnPruchnicki and @DeborahSerani and @annabellpatel !! The healing power of personal narrative is catharsis. Thank you @CNNfilms @KyDickens for a very meaningful film experience. You are all represent the good in people that can come out of the most terrible situations. It warms my heart and gives me strength. Thank you to @KyDickens and her brilliant team for his wonderful film. #SoleSurvivorFilm AMAZING film. I remember the day Comair 5191 happened and I always wondered what became of Jim. I wish him the best. Good night to all. Thank you so much for watching. Jim, the NTSB has covered up many crashes over years in favor of the Airline industry, Most people know and understand they can't be trusted. so don't give it another thought, Thanks to CNN we know truth of what happened to you your fellow Pilot and passengers. Bet wishes stay strong! Box of tissue required within minutes of #SoleSurvivorFilm starting. #solesurvivorFilm is on CNN right now....been wanting to see this documentary, sometimes channel surfing pays off.. Watching #SoleSurvivorFilm on CNN. The survivor of #NWA Flight 255 #DTW to #Phoenix is one of those featured. 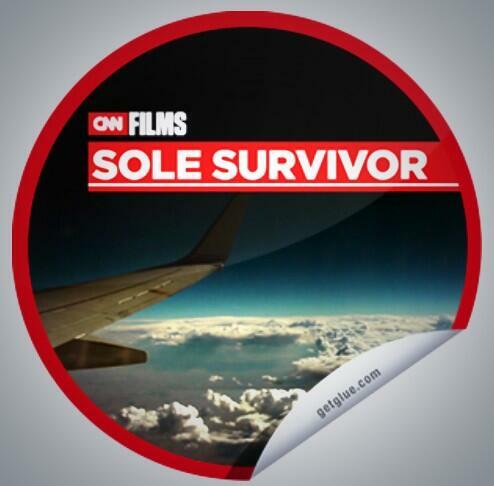 Watch #SoleSurvivorFilm on CNN. The film is unimaginable! Very intense stuff. As a crash survivor I can relate to some of what they have gone through. For me - no fatalities. Over 25 years ago but it is always like it happened yesterday. Wishing all of you continued recovery.